Despite ongoing concerns over radon exposure and impacts on children, only a fraction of Calgary schools have been tested for the cancer-causing radioactive, colourless, odourless and tasteless gas. Despite ongoing concerns over radon exposure and impacts on children, only a fraction of Calgary schools have been tested for the cancer-causing, radioactive, colourless, odourless and tasteless gas. Radon can enter a building through the soil, foundation, windows, pipes or plumbing. And while the Calgary Catholic School District (CCSD) says they plan to test all their schools — and will have 50 per cent of that testing done by the end of March — the Calgary Board of Education (CBE) has only tested 10 schools and say they have no plans to do more. According to the CBE, between 2014 and 2015 they tested the 10 schools as a "representative sample" of their schools, based on age, type of build and location, and found radon levels to be at acceptable levels — below 200 becquerels per cubic meter — in all 10 locations, and did not require any remediation. "We really don't see a need for any additional testing to occur," said Dany Breton, superintendent of facilities and environmental services for the CBE. 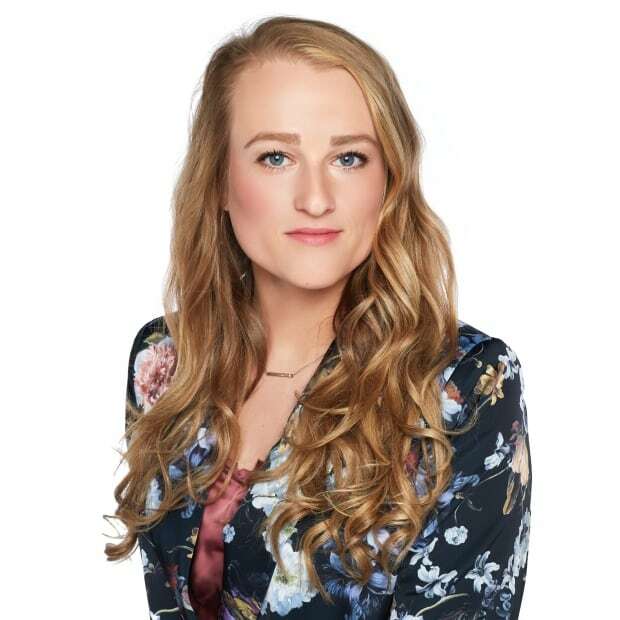 Joanna French, communications specialist with CCSD said after testing 40 per cent of their 115 schools, they found "low risk concentrations of radon in three locations, which they are working to remediate. "Much of the remediation is as simple as increasing ventilation, which can include running the school's HVAC system longer, or making small adjustments to the HVAC systems," she said. Aaron Goodarzi, Canada research chair for radiation exposure disease, and assistant professor at the Arnie Charbonneau Cancer Institute at the University of Calgary, says radon exposure can cause cancer and is the number one cause of lung cancer in non-smokers. Goodarzi advocates that all schools and childcare facilities to undergo testing, and remediation when necessary. He says radon is most dangerous for children because their bodies are still growing. "They're constantly growing tissue and growing body parts, that are much more radiation sensitive than a mature adult," he said. "The younger you are, the more vulnerable. You might imagine a fetus or a toddler is much more rapidly growing and much more vulnerable to radiation compared to say, an 18 year old." Goodarzi says research has found high concentrations of radon in soil and homes across the province, and schools are likely no different. "Any buildings sitting on the ground potentially can have a radon problem here in Alberta," he said. According to CAREX Canada — a national surveillance project that estimates the number of Canadians exposed to substances associated with cancer in workplace and community environments — only three per cent of Alberta schools had been tested for radon as of 2017. The same CAREX report found that 100 per cent of schools in the Yukon, Saskatchewan, Prince Edward Island, Nova Scotia and New Brunswick had been tested for radon, while eight per cent of schools in BC and Manitoba, two per cent of schools in the Northwest Territories, 18 per cent of schools in Quebec, 57 per cent of schools in Quebec and no schools in Newfoundland had been tested. 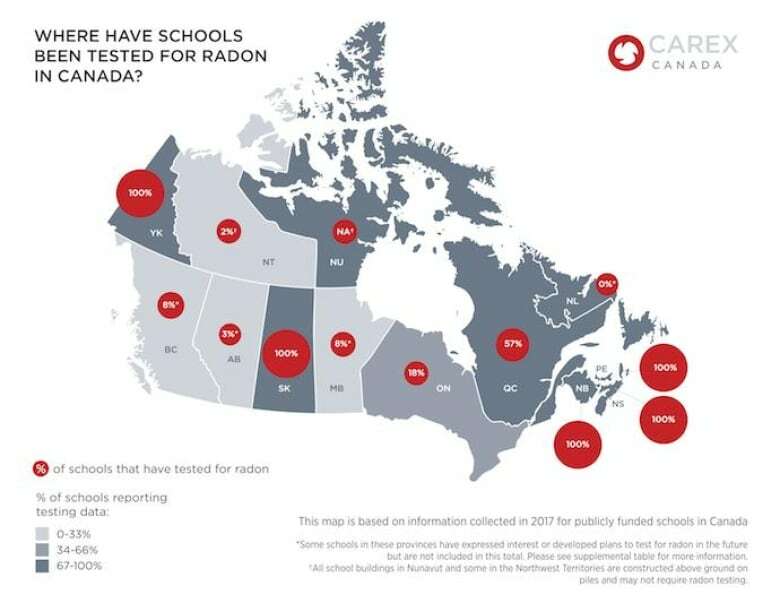 In a November 2018 update to the study, 106 additional schools have tested for radon in B.C., in Manitoba 10 additional schools had been tested, and in Alberta an additional 50 schools were to be tested in fall 2018 and winter 2019. 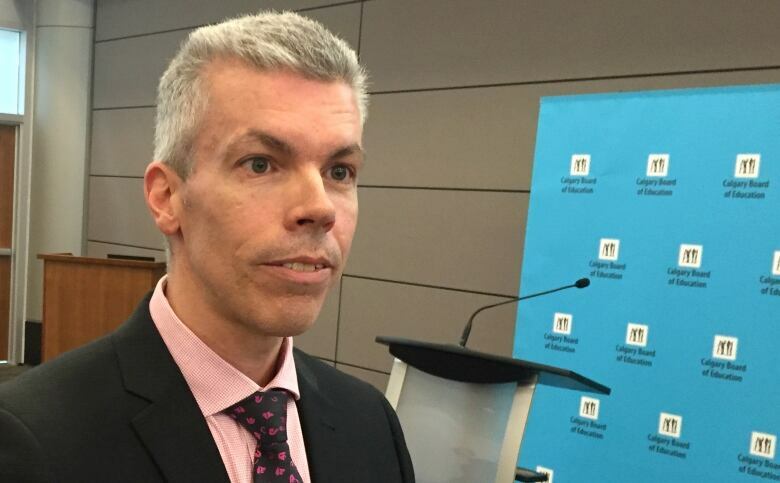 Breton said the CBE tested 10 of their 225 schools — or roughly four per cent — between 2014 and 2015 in partnership with Alberta Health Services after the Health Canada guidelines for acceptable radon levels in a building were adjusted from 800 Bq/m³ to 200 Bq/m³. Today there are 245 CBE schools. "We thought it would be important to get up to our schools and see whether that was a concern within our schools," he said. Breton said they did an initial test in the 10 buildings and then a follow-up test with a continuous digital monitor and they were happy that none of their schools required remediation. "We were able to conclude is that with the movement of students through the school, coupled with the ventilation systems that we have — that essentially pressurized the building — we were able to get rid of any radon gases that might seep into the buildings just through the amount of air movement," he said. What Breton found interesting when using the continuous digital monitors is that they could see very small increases in radon levels during the evening when doors were closed, but the levels were still "well below" 200 Bq/m3. And Goodarzi said that's sometimes all it will take to bring radon levels in check in large buildings like schools, but he thinks it's important that no school is left out. He says from looking at test results from Alberta homes, they found one-in-six homes to have unacceptable levels of radon, which is why he says it's impossible to make a blanket conclusions about radon levels in all school buildings after only testing a few of them. "It is problematic from the perspective that it creates a very unequal level of safety for the children in those schools compared to say their equivalent in the Catholic school board," said Goodarzi. But, he acknowledges that conducting radon testing in schools would be an expensive affair. "To my knowledge the main hold up here is not the lack of a will to do it, but rather the lack of the resources to do it," he said. "Testing large buildings like your typical school requires a radon test to be placed in every single room where there's either a student or a staff member that can become quite costly." A typical home-radon testing kit is between $40 and $60. 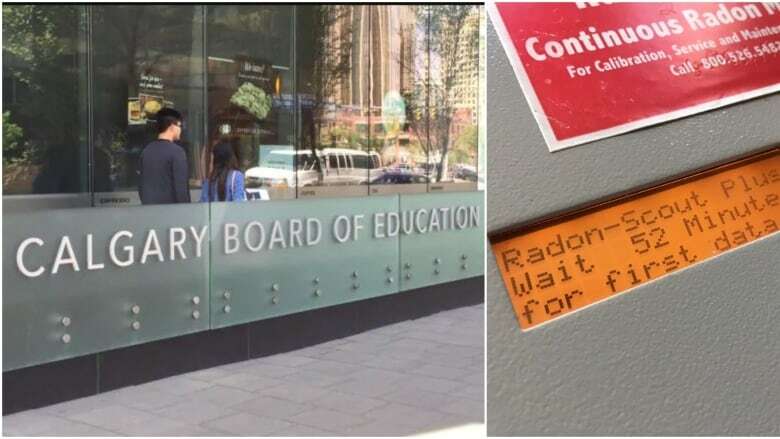 The CBE said it's something they paid for out of pocket, as there is no specific fund from the provincial government to conduct radon testing. In an emailed statement, Alberta Education officials said there is no additional funding being considered for radon testing in schools. "School jurisdictions would use the existing funding they are provided to carry out any testing they feel is needed," it read. "Alberta Education provides funding to school authorities, and each individual school authority decides how that funding is best spent. Owners of buildings such as school boards, Alberta Health Services, municipalities, and other public-sector organizations are responsible for carrying out their own radon testing for their buildings. "We recommend checking directly with school authorities regarding their plans for radon testing." Goodarzi said he's waiting for Bill 209 to be proclaimed in the legislature as it will make it law that all childcare facilities – but not schools – undergo radon testing and remediation when necessary. Breton says if Bill 209's legislation comes into effect, it would ensure that more CBE schools were tested, as many of them are home to daycares and before and after school care programs. "We've got hundreds of schools with such programs in them," he said. Breton said the CBE would then have those service providers test the area that they're occupying and ensure that they're informing the CBE of the results so that they can take any remediation actions that might be required. "If it becomes mandated we will have to make room for it in our budget somehow when an most certainly I mean we always ensure that we're abiding by legislation," he said. Alberta@Noon: We answer your questions about radon in your home.